A quintet of four siblings plus a family friend, Eisley has nurtured their own unique songs of innocence and experience across a shared lifetime, with a creativity, charisma, and camaraderie that is both rare and revealing. Add to that the sheer exultant joy of music making and you still won't quite have tapped the unique appeal of this remarkable young band. 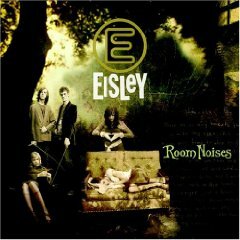 New formed, 1997, Eisley began playing local coffeehouse gigs in their hometown of Tyler, Texas. Over the next five years, the band wrote and played, expanding its touring area to the Dallas - Fort Worth region and ultimately winning a 2003 Best New Act Award from The Dallas Observer. 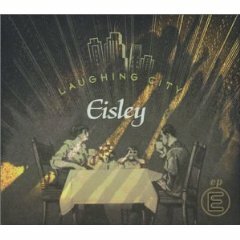 A few months later, Eisley released their debut EP, Laughing City, on the indie imprint Record Collection, and toured that spring and summer with Coldplay and Ron Sexsmith. The Marvelous Things EP arrived later in 2003, and early in 2005 their first full-length, Room Noises, arrived. Jon Wilson left the band that summer, and the DuPree siblings enlisted their younger cousin, Garron DuPree, to fill the vacant position. 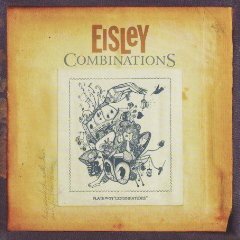 Released in 2007, Combinations was Eisley's first full-length album of entirely new material and featured a slightly darker, more rock-oriented sound. Initially known as the Towheads, the DuPree siblings got their start playing gigs at BrewTones Coffee Galaxy in their hometown of Tyler, Texas. They soon became MossEisley, a reference to the city in the Star Wars trilogy, but later (after a brief stint playing under the names Neverland or Sinclair) shortened the name due to possible legal ramifications. As Eisley, they grew a devoted local fan base, and in early 2003 they were signed to Warner Brothers Records, through Nettwerk Management. Eisley, and the music they make, is, rather, the result of a lifetime of collective creative effort that began in a symbiotic family setting. The decidedly unconventional parenting skills of Boyd and Kim DuPree produced a tight-knit brood of siblings with a near telepathic musical connection, nurtured by life in the small Texas town of Tyler.